Lift the air baffles up and out of the server and set them aside. 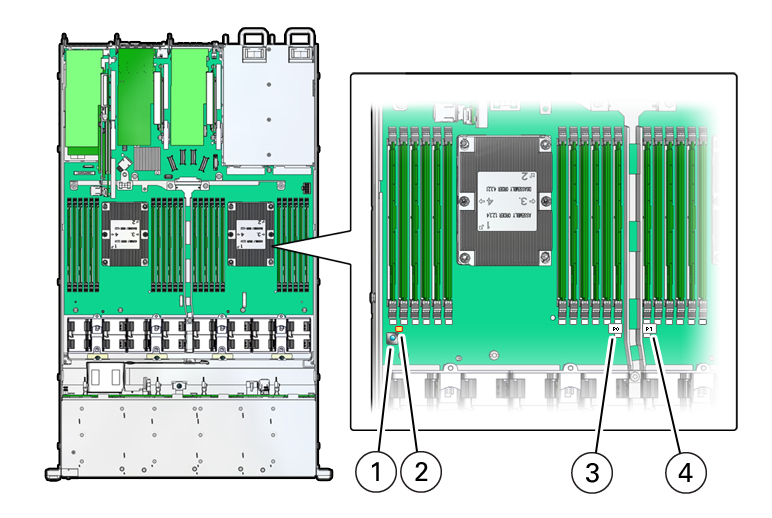 Identify the location of the failed processor by pressing the Fault Remind button on the motherboard I/O card. Note - When you press the Fault Remind button, an LED located next to the Fault Remind button lights green, indicates that there is sufficient voltage in the fault remind circuit to light any fault LEDs that were lit due to a failure. If this LED fails to light when you press the Fault Remind button, it is likely that the capacitor powering the fault remind circuit lost its charge. This can happen if you press the Fault Remind button for a long time with fault LEDs lit, or if power was removed from the server for more than 15 minutes. If the processor fault LED is on (amber), the processor has failed and must be replaced. 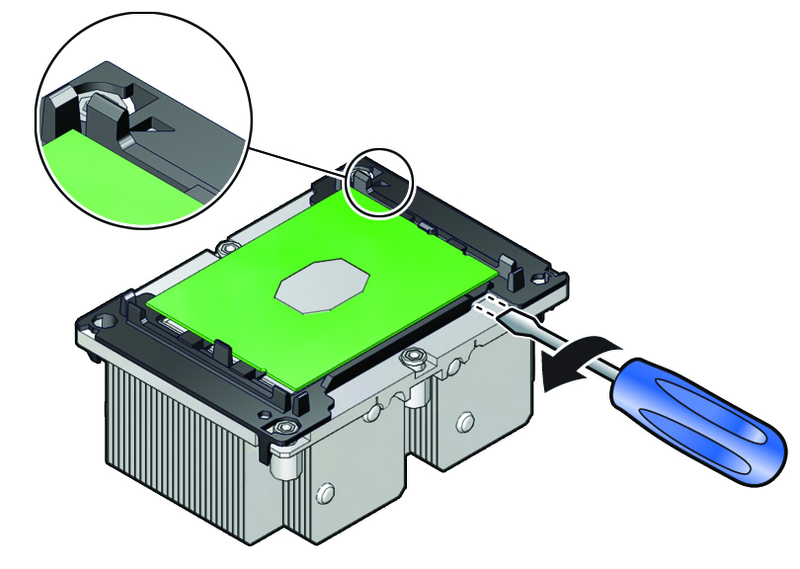 While holding down the processor-heatsink module by the edges, insert a flat blade screwdriver into the TIM breaker slot. Using a rocking motion, gently pry the corner of the processor carrier away from the heatsink. 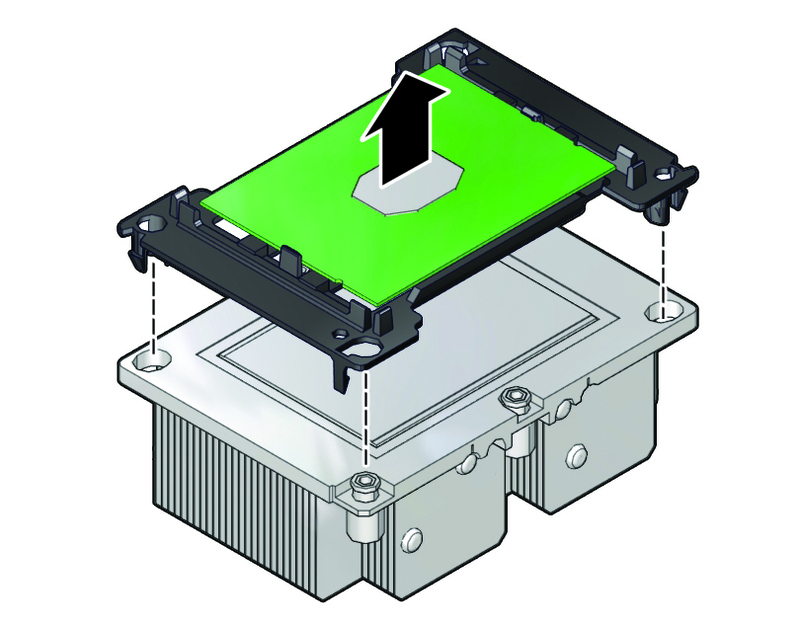 Remove the processor carrier (with processor still attached) from the heatsink by prying or pinching the plastic latch tabs that attach the processor to the heatsink. 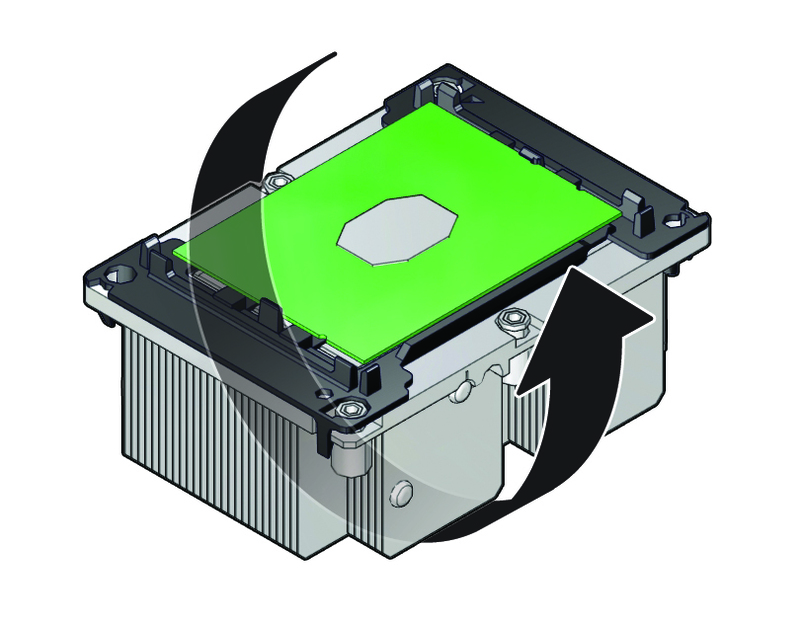 Caution - Failure to clean thermal grease from the heatsink could result in the accidental contamination of the processor socket or other components. Also, be careful not to get the grease on your fingers, as this could contaminate components.